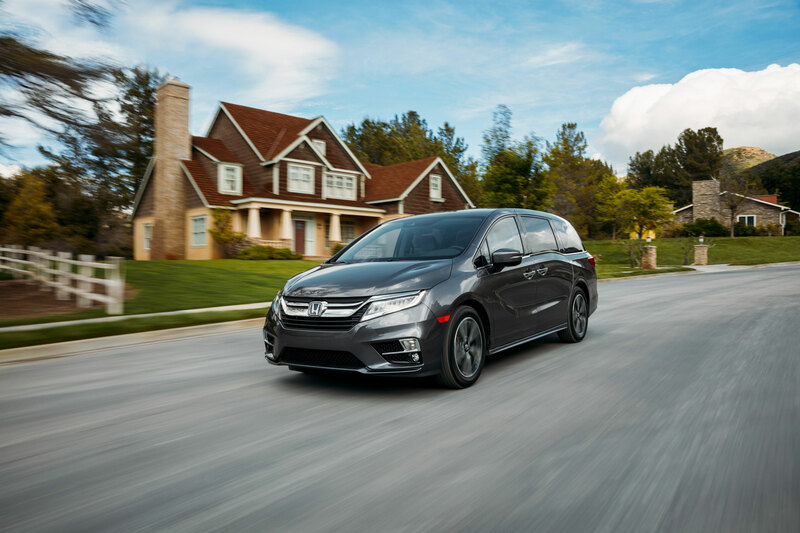 The new 2018 Odyssey design offers performance, comfort, and connectivity like never before. This all-new minivan now has a more powerful engine and an advanced transmission to optimize fuel economy and performance, while a significant exterior redesign leads to class-leading power and cabin quietness. You’ll also find added space and family-friendly features that are perfect for long trips and running errands. Read on to learn more about what makes this new Odyssey design so exciting. To start, the revamped 2018 Odyssey design now comes with standard Honda Sensing® technology, a Display Audio system, smartphone connectivity, and the ingenious Magic Slide 2nd-Row Seats™ that enhance convenience. This means that you can not only keep the kids entertained in the rear seat, but it also allows you to hook up your smartphone to the car to access important information, apps, and to lock/unlock and remote start. Under the hood, Honda added a new 3.5-liter SOHC direct-injected i-VTEC® V6 engine that gets 32 horsepower more than its predecessor. You also get up to 19/28/22 mpg city/hwy/combined when properly equipped. * The new minivan also comes with your choice between a 9-speed or 10-speed automatic transmission with standard paddle shifters. Want to test drive the 2018 Honda Odyssey? Visit Hardin County Honda for more information about the latest features, design, and pricing. *EPA estimates. Actual mileage may vary. *5-Star Safety Ratings are part of the U.S. Department of Transportation’s New Car Assessment Program (www.safecar.gov). Model tested with standard side airbags (SAB).